Whether you are hosting a big Halloween bash or just a few friends, this frighteningly delicious cocktail is perfect for the occasion. Combine all ingredients in a shaker with ice. Shake and strain into a chilled martini glass. 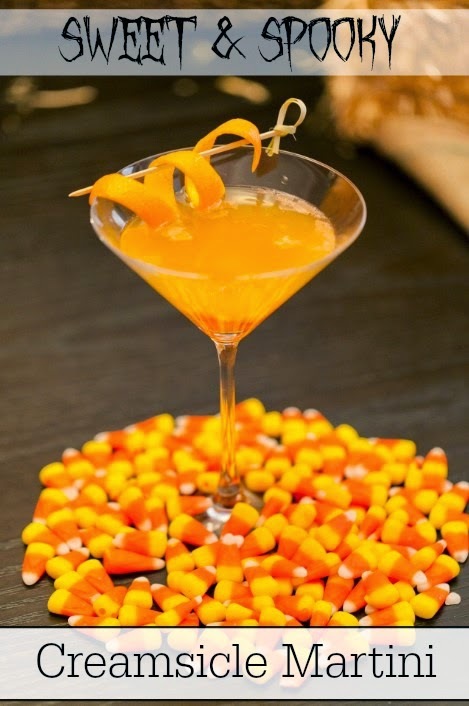 Serve with candy corn and rock candy swizzle stick. For more cocktail recipes, view all of my cocktail posts and my Cocktails Pinterest board.